Fellow blogger Troy Y. over at The Mystery Train Elvis Blog made an impulsive decision about two weeks ago that led to him being on television talking about an upcoming Elvis release. What Troy did was take a chance and e-mail various local news media in Richmond (where he lives) when FTD announced that their September release 48 Hours To Memphis (featuring Elvis' performance from March 18, 1974 at the Richmond Coliseum).was a multi-track rather than the expected soundboard. Later the same day a reporter from WTVR CBS 6 contacted him. Troy went over the basics of the release, but turned down an interview, as he couldn't have a camera crew visiting him at work. But the reporter, being persistent (as reporters usually are, I know, I've been one) called back the next day and asked if Troy would do an interview after all. So, at his lunch break he went over to the studio and did the interview. As Troy himself explains at the For Elvis CD Collectors forum, "The reporter was great to deal with and very enthusiastic throughout the whole thing. Overall, I was happy with how it turned out and felt it presented a positive view on Elvis." I agree, I enjoyed watching it and felt that Troy was taking care of business. Hopefully, Ernst Jorgensen has seen it as well. It's not every day an FTD album gets promoted on television. How about sending Troy a free copy of 48 Hours To Memphis, Ernst? Having returned from my one week holiday in a Danish cottage where I had no way to access the Internet, I immediately sat down in front of the computer to get an update about what had been going on in the Elvis World. 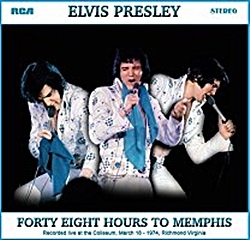 One news item stood out from all the rest, the announcement made by Ernst Jorgensen during Elvis Week in Memphis that the upcoming FTD September release 48 Hours To Memphis is, in fact, a multi-track recording of the concert in Richmond, Virginia, on March 18, 1974. Did RCA record Richmond as preparation for that Memphis concert album? Or did RCA originally conceive the album as a tour compilation? How did RCA seemingly lose this multi-track recording and any record that it ever existed? Elvis said he turned down requests from other cities on his current tour to record in order to save the recording show for his hometown fans [...] Presley and Felton Jarvis, his record producer, said there was some discussion aobut his recording at the Houston Astrodome and other cities. My guess is that it will remain a mystery why the concert in Richmond was nevertheless recorded. Not that it matter that much. What does is that the fans will get to hear a second professionally recorded Elvis concert from the same tour. 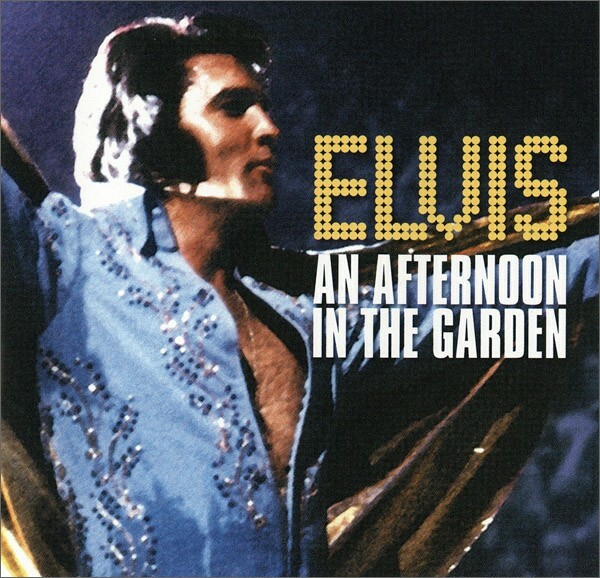 The last time something like that happened was when RCA/BMG released An Afternoon In The Garden in 1997. So be sure to enjoy this release! This week my family and I were on vacation in Denmark, where we rented a cottage on the west coast. In a way Elvis was present too, as he provided the soundtrack for the holiday. The day before we left I imported the Blue Hawaii FTD classic album to my iPod, as I thought it would provide the perfect music while walking to the beach or looking out over the sea. It was a wise choice. 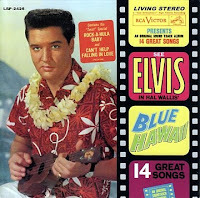 Not only did the songs from Blue Hawaii fit the Danish scenery nicely, but the FTD version of the soundtrack also offered a fascinating insight into the making of one of Elvis' biggest selling albums. Admittedly, I bought the FTD 2 CD set when it was released in 2009, but it was only this week that I listened to it thoroughly. I'm glad I did. The first takes of "Rock-A-Hula Baby" are worth the price of the album along. When Elvis for some reason stops singing 40 seconds into the second take, the band just keeps going, seemingly unable to stop. "Hold it," Elvis shouts, then laughs, before launching into the third take, delivering a wild and cooking performance. Another highlight is the making of the movie version of "Can't Help Falling In Love," Elvis going through 26 takes of the song (12 of them are included on the FTD album). "Damn pants too tight," he says before take 14. The following takes shows Elvis having trouble with the slow tempo of the song "I can't hold a note worth a damn," he sighs after abandoning take 22. "Slicin' Sand" might not be called a classic, but many of the 12 takes included are fun to listen to. One example is take 6 which has Elvis throwing in an extra verse: "Sand in my toes, sand in my hair, sand in my sandwich but I don't care." Elvis worked hard with "No More," going through take after take of the song. As they all sound pretty similar, I was wondering about this, until I read today in Ernst Jorgensen's A Life In Music that the writer of the song, Don Robertson, was invited to the studio that day. Elvis obviously wanted to show him that he was serious about the song. The last song I'd like to mention is also the one that sadly didn't make it into the movie or onto the original album. "Steppin' Out Of Line" is one of my favorite numbers from FTD's Blue Hawaii and I actually prefer the record version (with Boot Randolph's saxophone) over the movie version. Also, the record version has a much better ending. And so ends my post about Blue Hawaii, my soundtrack for the past week. 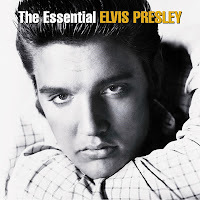 You'll find a thorough review by Piers Beagley over at the Elvis Information Network. And needless to say, Blue Hawaii, FTD style, is a release I wholeheartedly recommend. Today, on August 16, fans all around the globe remember Elvis Presley. It's been 34 years since he died, and if anything he's as popular now as then. 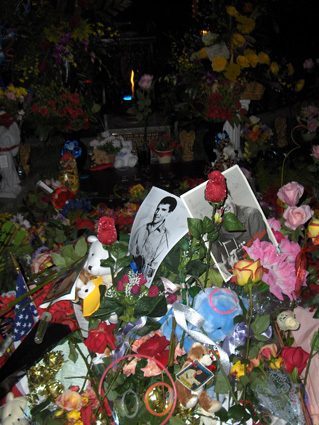 The most memorable anniversary date of Elvis' passing I've had so far was during Elvis Week 2005 when I attended the Candlelight Vigil. It was an emotional experience to participate, walking up the driveway to Elvis' gravesite together with thousands of other fans, each of us carrying a candle in remembrance. This year I'll remember Elvis Presley while on holiday, spending the day in a Danish cottage by the sea with my wife and daughter. I've actually prepared this post in advance, as there will be no Internet available. 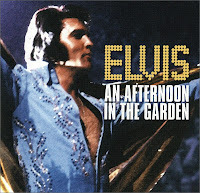 But I'll be sure to bring along my faithful iPod and enjoy Elvis' music a little extra on August 16. 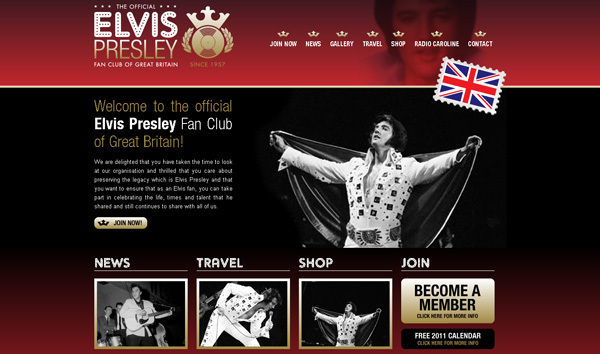 Incidentally, August 16 was also the date when I started my blog Elvis Today, four years ago. And it so happens that this is post number 400. So I'll celebrate that too, even if Elvis will be foremost on my mind. Thank you for reading Elvis Today. And thank you Elvis, for always being there for me with your music. It means the world. Nearly three years ago The Official Elvis Presley Fan Club of Great Britain launched a website on the Internet. As some of you might remember, I wasn't overly impressed, among other things it was poorly updated. Well, I'm happy to report that the British fan club has a new website up and running, one that is much more professional looking. Granted, the content is a bit limited: an on-line application form, latest news (not updated that often), some information about the travel club (which takes members to Memphis), an image gallery (containing about 25 photos of Elvis), a shop (including the Follow That Dream collector's label CD's and books) and a link to Radio Caroline where Todd Slaughter hosts an Elvis Hour once a week. That said, the site is a major improvement over the old one, and certainly a step in the right direction. So is the fan club's decision to join Facebook. Unfortunately the same can't be said of FTD, their site is still "currently under construction" (as it was over two years ago). Yesterday saw the start of Elvis Week in Memphis, and as usual it made me think of my trip to the U.S. and Elvis Week 2005. It was one of the best Elvis experiences I've ever had, meeting fellow fans from all around the world and musicians who played for Elvis. But reading an article in the latest issue of the British fan club magazine, I was reminded that there are those who have experienced even greater things when it comes to Elvis. The article is titled "Destination USA 1972," and in it Rita Overhead describes the first British Elvis Presley Fan Club trip to America to see Elvis during his Las Vegas engagement in the summer of 1972. It's an amazing story. Not only did she get to see no less than 10 shows, she also met Elvis. After attending the midnight show on Saturday, September 2, she waited for the extra Sunday morning show together with a couple of other fans outside the showroom. Suddenly the door to what was the manager's office opened and there was Colonel Parker chewing on a long cigar. After "a nice little conversation" with him he asked how many they were and told them to come along. It must have been an incredible experience, following the Colonel through a "No Exit" door and then down a corridor and realizing they were being taken down to see Elvis. As they entered a large room they noticed The Stamps, The Sweet Inspirations and Kathy Westmoreland sitting down watching a small television. They were then shown into a small room, first being introduced to Vernon Presley. Then all of a sudden Elvis appeared in the doorway. He asked them if they had a good journey to USA and if they enjoyed the shows. The author of the article also received a kiss. She then forgot her own name when Elvis was about to sign a menu she had from one of the shows. "You must have a name," he kidded and when she finally remembered it he answered, "Rita, are you sure?" He then signed the menu "I love Rita, Elvis Presley." To have such a memory of Elvis must be priceless, and while I enjoyed the article immensely, I was also a little bit saddened that I never saw Elvis in person. That one will always be an impossible dream. On the other hand I've done the next best thing: going to Memphis in 2005 was a dream come true, and something I will never forget. I first heard of photographer Sean Shaver and his book Photographing The King in 1982, when I saw an add for it in an issue of the British fan club magazine (that was the year I became a member). Little did I know at the time that I would get my hands on a copy of the book almost 30 years later, thanks to winning a bidding at the Swedish eBay site Tradera. Sean Shaver became an Elvis fan as early as 1955. In 1967 he met and photographed Elvis. From then until Elvis' death he devoted himself to capturing him on film. In Photographing The King he shares some memories and many of the approximately 80,000 photographs he shot of Elvis. In the introduction Sean Shaver states that he is not a writer. After reading the book last week I agree it's a bit unstructured. At the same time I found some of his stories fascinating. And a lot of his photos are really great, especially those from 1975 and 1976 (in early 1975 he started to use a new type of film and a special strobe). Between February 1970 and right up until the last concert in June, 1977, Sean Shaver shot about 500 shows. How he managed to drive from city to city during all the different tours and catch all those concerts, financially as well as physically, I have no idea. And to make the conditions even worse, Colonel Parker didn't want him to take any pictures. It's amusing to read about all the ways Sean Shaver tried to outsmart security in Las Vegas (where the rules against cameras were very strict). Many times he would go into the showroom with a camera attached to his ankle by a bandage, or have a girl sneak a camera into the room in her purse. He even used a pair of binoculars which were actually a camera. Over the years Sean Shaver became closer and closer to Elvis and his entourage, although Colonel Parker continued to dislike him. He spent time with Elvis' pilots and even took pictures of Lisa Marie taking off, at Elvis' request. In fact, there are a couple of shots in the book of Elvis boarding or disembarking his plane, one of them having Elvis waving his finger at Shaver's camera. One story I found particularly interesting was that Elvis' record producer Felton Jarvis asked Sean Shaver to get a shot of Elvis at the piano playing and singing "Unchained Melody." According to Shaver, Felton thought this would be the ultimate album cover. Sean Shaver got Felton Jarvis the shots he wanted, but when Colonel Parker heard about it Felton sent the pictures back. Maybe it's a bit ironic that while no photos taken by Sean Shaver ever graced an Elvis album during Elvis' lifetime, they do today. 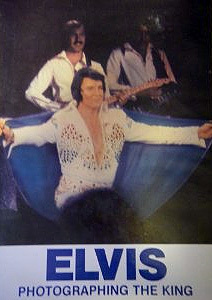 The Follow That Dream release America, featuring Elvis concert at the City Auditorium, Omaha, Nebraska, on April 22, 1976, is one such example. After reading Photographing The King I tried to learn more about Sean Shaver by Googling the Internet. I can report there isn't much out there. I found a web page dedicated to Sean Shavers work, and some discussions on different forums, but that's about it. I couldn't even verify if he's alive or not. Can you help me out?